Each spring, Gray Whales migrate from Mexico to the Gulf of Alaska, but a few take a “Spring Break” between Whidbey and Camano Islands. They come to feed on ghost shrimp that live in the mud flats around the island. 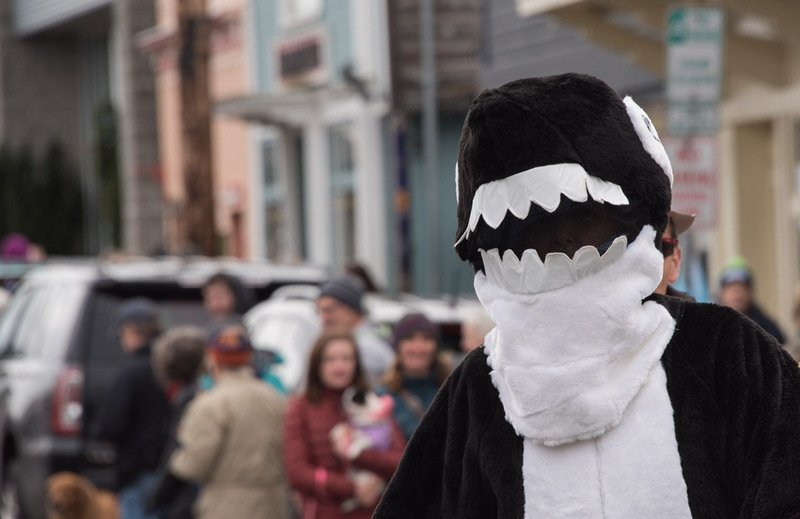 So, Langley, our “Village by the Sea” celebrates all the whales that that are here. 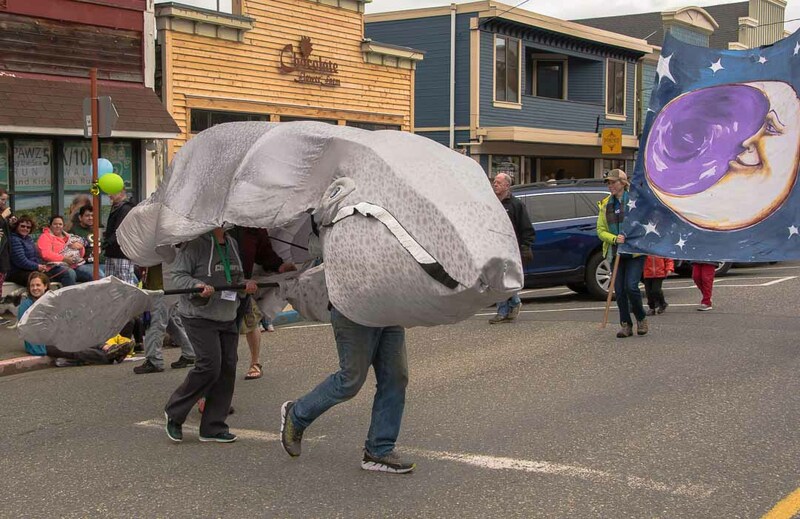 From serious seminars to a quirky parade, this is a uniquely Whidbey event.